The SMI line of flatware by Liberty Tabletop is priced to be affordable without compromising quality or durability. 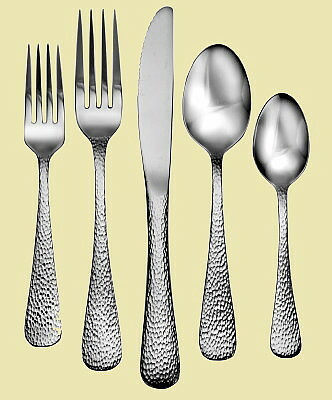 Features forks and spoons crafted in 18/10 stainless with heavy weight finely polished knives. Featuring a teardrop shape with a scalloped mirror finish this hammered finish look is one of the most popular trends in modern design. Distinctively crafted from the finest 18-10 stainless steel, the Providence pattern is suitable to everyday use as well as for entertaining friends and family. Affordable style makes it a must have for your home!